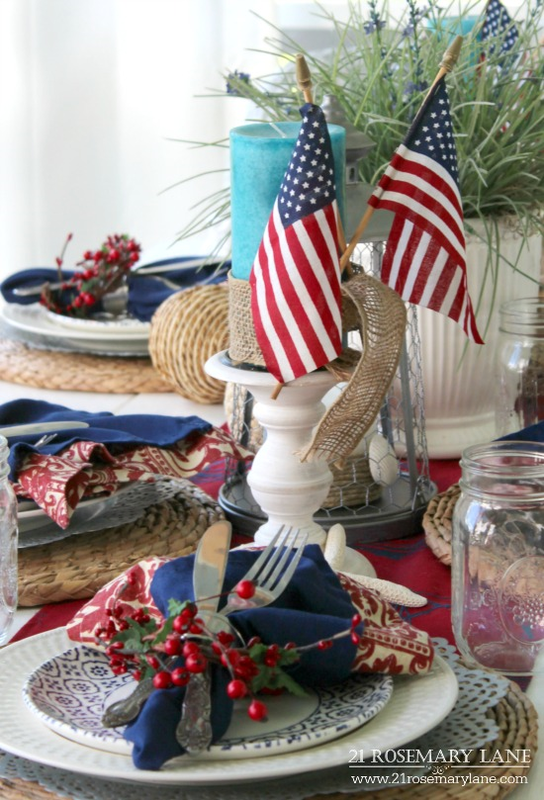 It has been quite awhile since I've put together a patriotic table setting...4 years to be exact. Not sure why it just hasn't been something I do on a yearly basis like my Christmas and Thanksgiving tables. This year I wanted to put together a table using red, white and blue but not really focusing on typical 4th of July items. 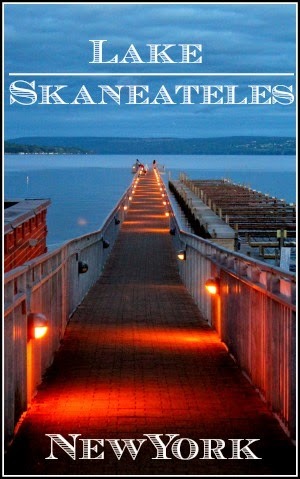 My goal was to do something not contrived and to implement a "...hmm...I never thought to use that", kind of approach. 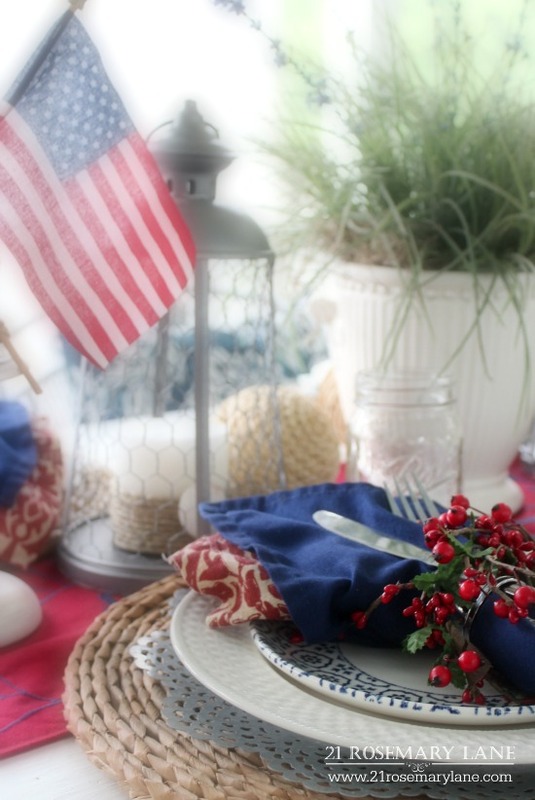 So what I did was simply shop my home for any items that where red, white and blue, to put together a patriotic tablescape. And what I ended up using even surprised me! 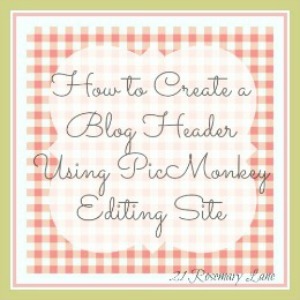 I decided not to use any tablecloth and let the plain white table serve as the backdrop. 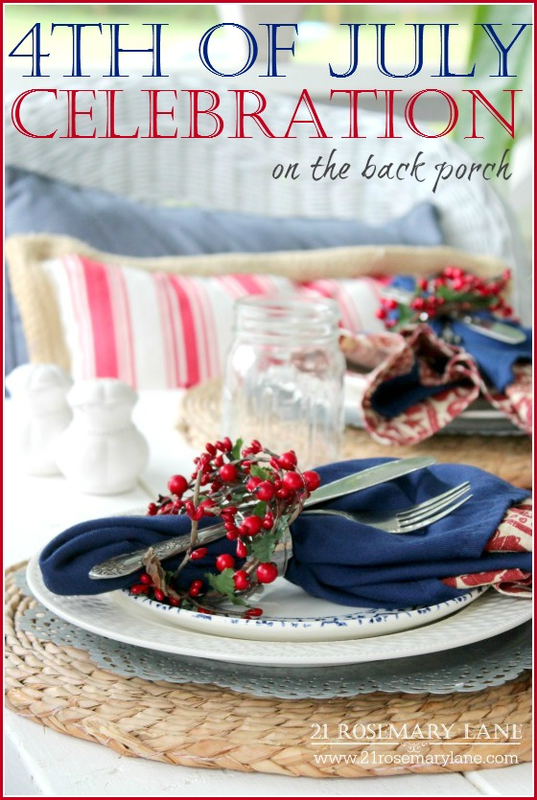 Next I spread out a red and blue boat print table runner I purchased a few months ago at the Christmas Tree Shop. Then I scoured the house...nothing was off limits including the frig! 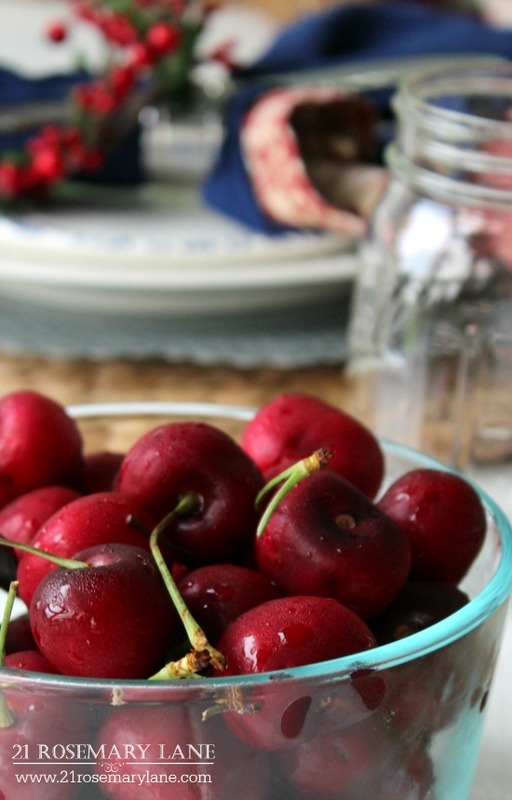 I pulled out a bag of cherries I just bought at the market for the kids, and yup, they went right into a glass bowl as an accent element for my table. A natural fiber place mat is topped with a galvanized snowflake looking charger along with my everyday white dinner plates. Then blue and white salad plates where placed on top of the white dishes. 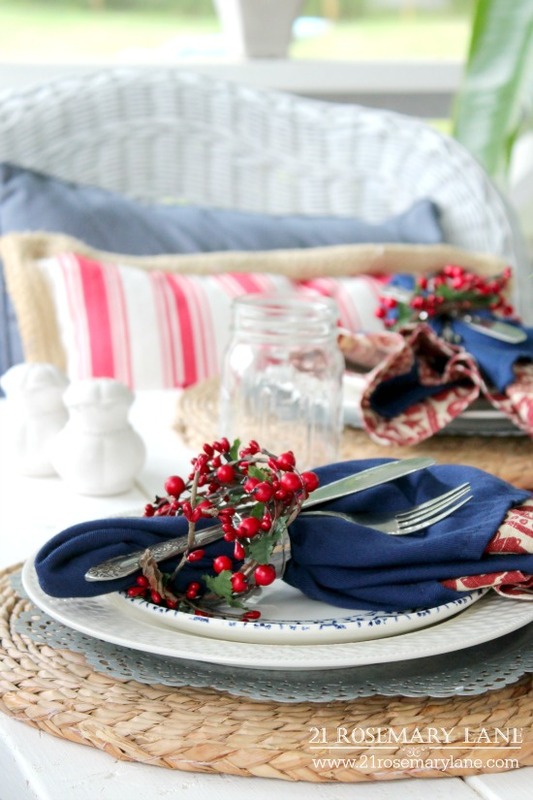 Using a red and white print napkin, plus a second blue napkin, I cinched the two together with a silver napkin ring and, in a criss-cross pattern, tucked in the knife and fork. As I rummaged through the breakfront in the dining room, I found my little candle wreaths I use for the dining room chandy at Christmas, and decided to I pull them up over the silver rings to add a little more color to the place setting. Plain mason jars serve as casual glassware and the centerpiece display is flanked with two galvanized lanterns from Pier One. 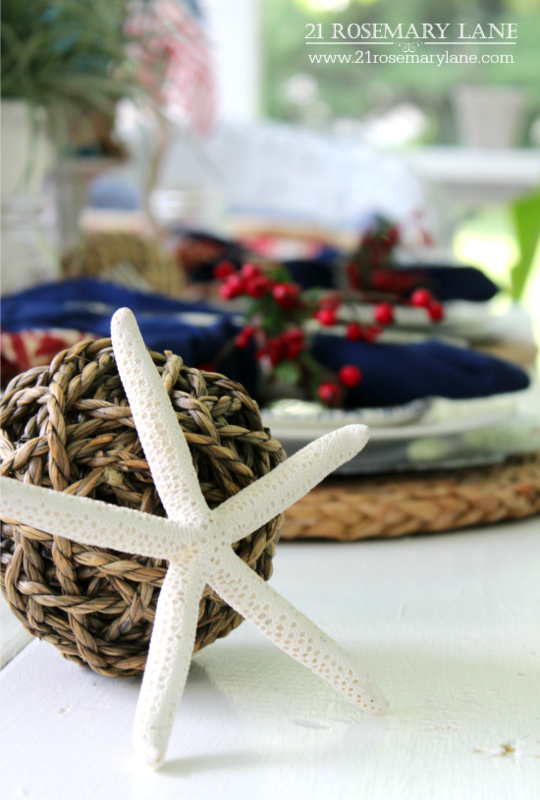 A few little rope spheres and starfish are scattered about the table to add a bit of a nautical touch. I also decided to keep the turquoise blue candles already on the table for a pop of an unexpected blue color. I wrapped the base of each candle with a piece of burlap for texture and then added a couple of miniature American flags for a patriotic flare. Loving this table! 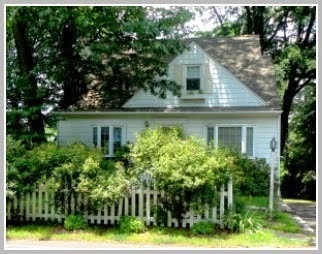 I am going to have to create my own now, because I am feeling inspired. Barbara, I love everything about this tablesetting. 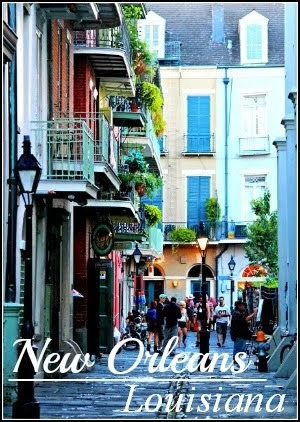 It looks like it belongs in a magazine. I love this mix of everything and the way you did the plate stack. I also love the berry napkin rings. 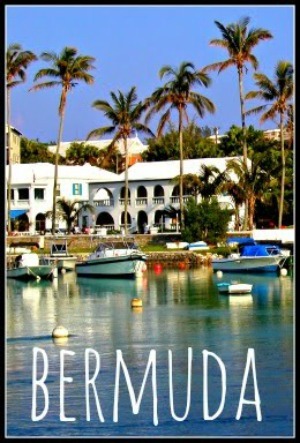 Your table is gorgeous!!! I hope that you have a Happy Fourth of July!!! 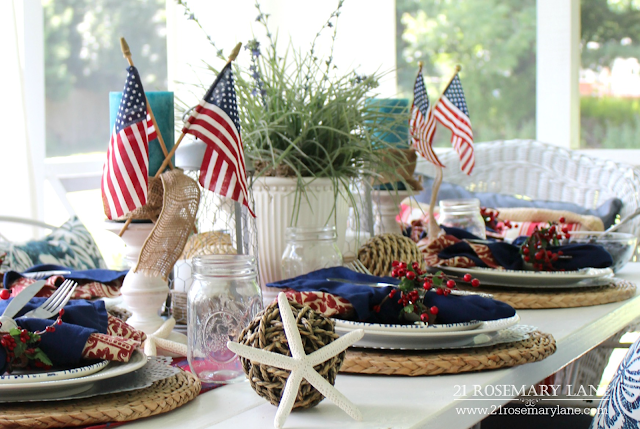 I adore the Fourth of July Tablescape you've created using items you already had, dear friend! 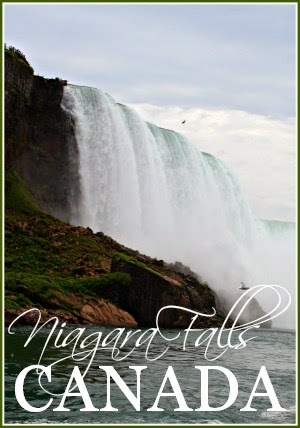 These always turn out fabulous and are such a delight! I enjoy the pop of turquoise. . .the unique and unexpected! 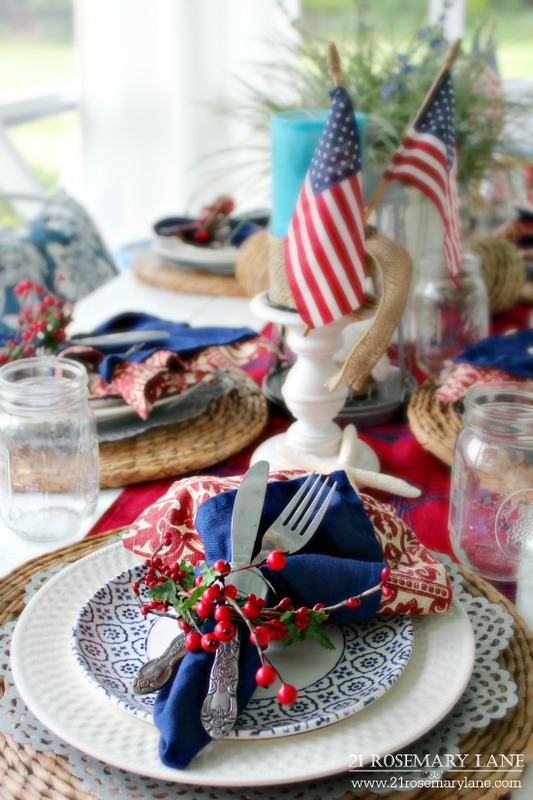 Fabulous patriotic tablescape to celebrate America's birthday. I love all the plates and attention to detail. Pinning. 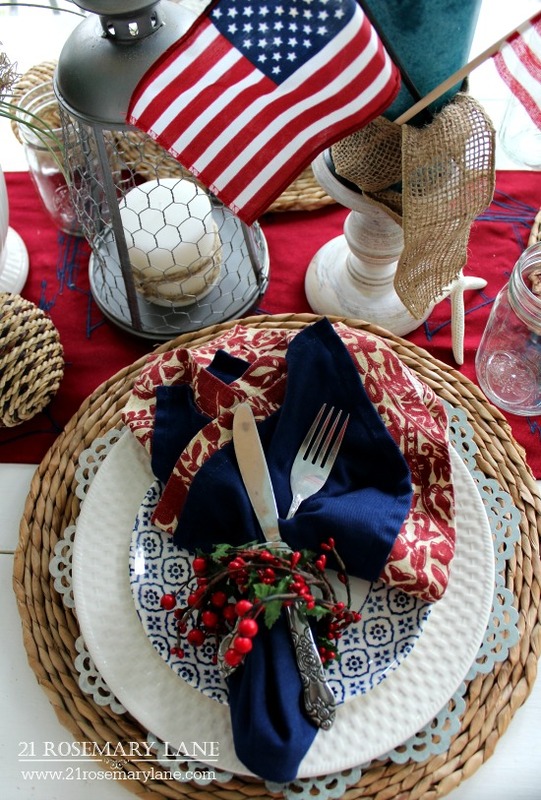 You have set such a pretty table for the Fourth of July. I love how you tucked the fork and knife crossed in the napkin ring! Something I had never thought of doing! The little rope spheres with the starfish are a nice touch and perfect for summer!